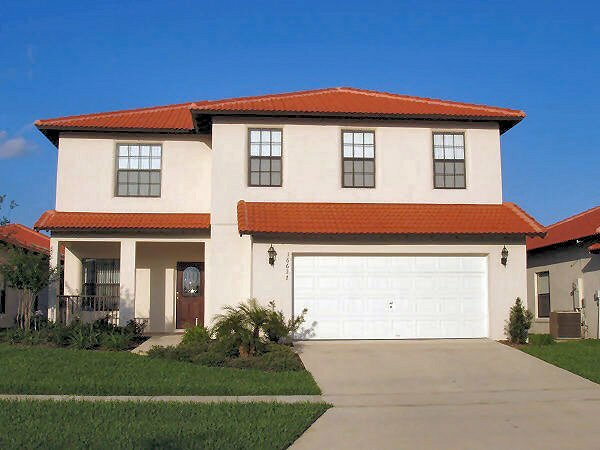 Located just off the intersection with US27 and highway US192, High Grove Resort is a new, gated community of just over 160 Mediterranean styled villas set against a backdrop of conservation lake-land. Offering a fantastic central clubhouse, with a manned 24 hour reception, this provides a central point for visitors to the community - also offering a fitness room, games arcade, computers and Internet connectivity. For sun-loving visitors, there is a community pool and spa area, with a separate kiddies play area alongside. Travelling through to Walt Disney World Resort is simply a case of follow US192, with Seaworld, Universal Studios and the International Drive area a quick trip up Interstate 4. With a Publix supermarket just over a mile away on US192 and a new WalMart supercenter just the other side of US27, these provide excellent shops for those essentials when staying at the High Grove community. Adjacent to WalMart, there is a Blimpie Subs & Salad, Quiznos sub, Wendys, Taco Bell and a Chinese take-away. Should you need it, there is also a Lowe's electrical superstore on the other side of the road. A post-office and Walgreens pharmacy are located just north of WalMart. For evening meals, a vast number of restaurants can be found on the US192 (towards Kissimmee), however, if you prefer to stay closer to home, there is Randy's restaurant and Devenney's Irish pub not too far from the community. High Grove Resort is located on highway US27, just north of the intersection with highway US192 (the main road through to Kissimmee). The most straightforward driving route to Walt Disney World is either US192 or as an alternative, the less-busy western route SR429. For Universal Studios, SeaWorld and the International Drive area, head for Interstate 4 then north towards Orlando. Orlando International airport is accessible from Interstate 4 and the Beachline Expressway SR528. This is also the route to Kennedy Space Center and Cocoa Beach. Beautiful 4 bed 3 bath villa with POOL and SPA! Beautifully furnished 4 bedrooms, 3 bathroom villa with its own private southwest facing pool and spa. 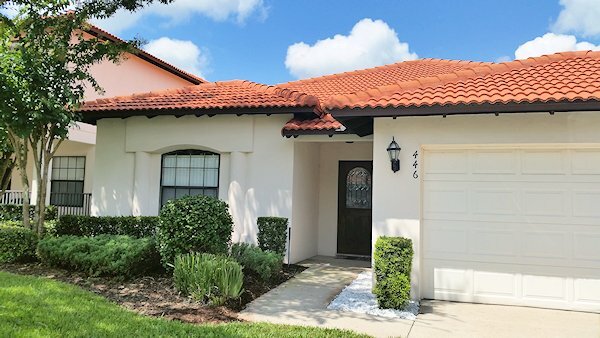 In an upscale gated community of High Grove located just 10 minutes from Walt Disney World and approximately 20 minutes to Universal and Seaworld. Situated to the west of Walt Disney World Resort, the area is less populated than the US192, yet still offers an array of eateries and shops, as well as the obligatory WalMart and Publix supermarkets. Heading south towards the junction of US192 (and east along it), the number and variety of shops, outlets and restaurants will certainly increase. For the keen golfers, head a couple of miles further south beyond the junction with US192 for a number of popular and challenging golf courses bordering US27.